Driving Ace is a free racing game app developed for Windows 8 and 8.1 computer. The free racing game is simple to play. The game has no settings that can be changed or any menu options that can help in changing the game play. Driving Ace has only one game play which is by default chosen in the game for the user to play. When the game starts, there is a small car of blue color that is waiting on the start point for the game to be started. There is a timer running on the top left side of the game. On the top right side of the racing game you will find a text indicator showing which level you are on. In the game, all you have to do is clear the stages or levels you are in to reach the next level. The game play has been kept simple. 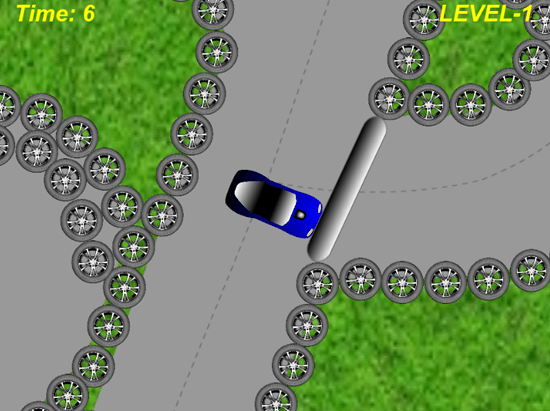 There are no other cars or vehicles that will be a hurdle in the game you are playing. Instead the difficult part of the game is to reach the end of the track without touching much of the borders. When you touch the border, it will deduct the time from the timer that is running on the top left side of the game screen. You can play the game with the help of the keyboard of your desktop or laptop, alternatively you can play it with the mouse of your system too. The car can be moved forward, backward, left or right with the help of the arrow keys on the keyboard or with the help of clicks of the mouse. Other racing games that you can check out for your Windows 8: Mountain racing HD and Drive me out. The graphics of the game are kept minimal and flat, the color scheme is attractive. Although the graphics of the car can be enhanced more but overall they present the game nicely for the user.